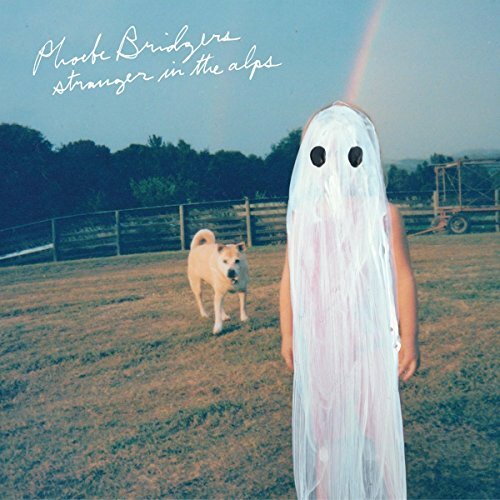 After six or seven spins of Phoebe Bridgers’ debut album, Stranger in the Alps, I always come back to the same thought after the first song, “Smoke Signals:" did someone bet Phoebe that she couldn’t find a natural way to fit in “F**k the police” (or any variant) into her music? If that is the case, then she clearly won that bet. It’s a little unexpected but it works within the atmosphere of Bridgers’ deeply intimate and melancholy album about life, death, and everything in between. In a year when Julien Baker has pretty much become the darling of the white female indie folk scene, it is Phoebe Bridgers that has captured my attention. There is much in common between the two songwriters from the introspective lyrics to the melodic and beautiful musical structures that accompany them, but it is Bridgers that rings more cohesive and emotionally effective of the two. They have toured together so there is sure to be some mutual respect to be had. I have listened to Baker’s album 3 separate times and I am still not drawn back to it like I am to Bridgers’ work. Tony Berg and Ethan Gruska’s production work is simple and raw but has these little noisy flourishes that are both stark against Bridgers’ melodies and surprisingly playful for a largely downbeat collection of songs. However, it is Bridgers’ vocals and compositions that are at the center of my attachment to this album. The songs veer and wander at various points and, yet, they always find resolution in her luscious choruses at the last minute when it seems like she has lost the trail of breadcrumbs to get back. Songs like “Motion Sickness,” “Funeral,” “Georgia,” wash the listener in a false security of beauty only to allow the lyrical scalpel to cut deep into the psyche. On “Would You Rather,” Bridgers finds a strange harmonic resonance with Bright Eyes’ lead singer, Conor Oberst, who became her champion after hearing her first EP. The song, while not “happy” in the normal sense, is maybe one of the brightest spots on the album. Oberst’s part of the chorus works so well and gives a nice counterpart to Bridgers’ quiet and vulnerable voice. I always enjoy being surprised by artists and albums that I don’t expect and Phoebe Bridgers was not a name I came into 2017 knowing, yet I will be keeping up with her and hoping that she receives the attention that she so deserves. This is a strong debut that tempers the sadness and melancholy of the themes with gorgeous melodies and playful production choices. It truly is a well spent 44 minutes.